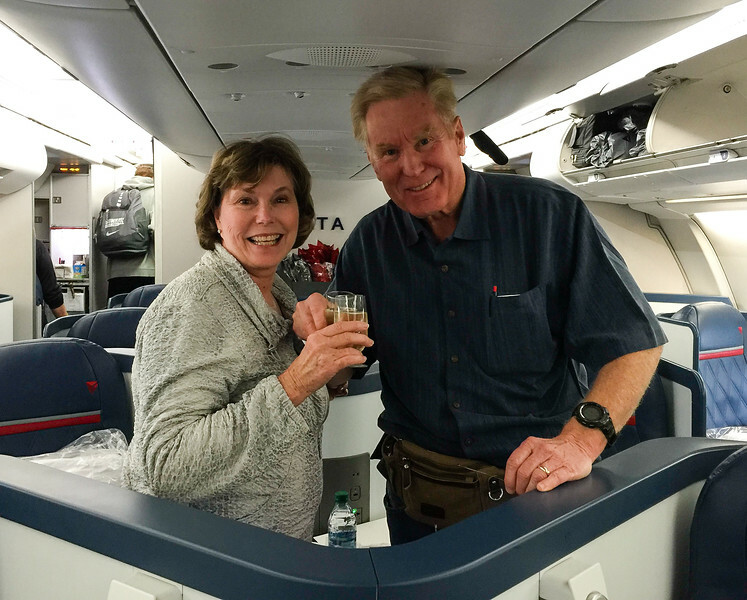 It’s no secret that Alan and I prefer luxury travel—on the ocean, in the air and on land. While we don’t mind paying for that luxury, like any smart traveler, we want to stretch our travel dollars as far as they can go. How do we do that? First, we have a clear idea of what luxury travel means for us. Then we use our best luxury travel tips for getting the most for our money. 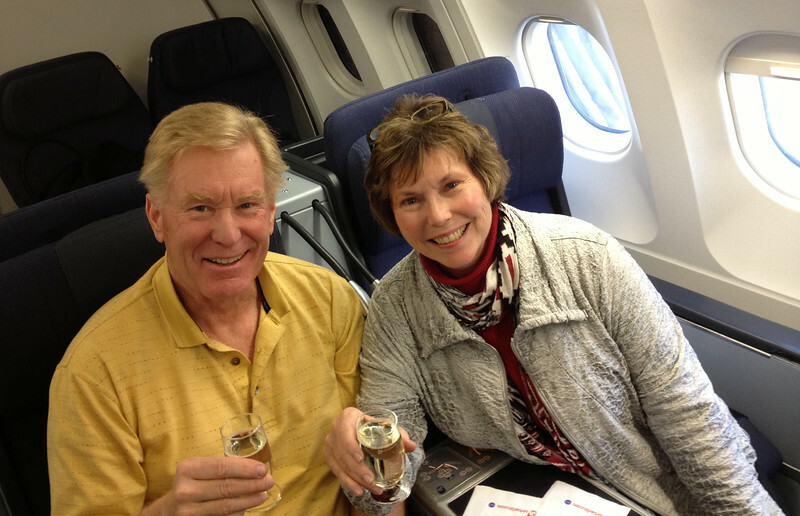 We always toast to a business class flight. I see the word “luxury” applied to many travel products that, quite frankly, aren’t luxury. So how do you know if you’re booking a true luxury trip? My answer: it’s subjective. Luxury is so much more than high thread-count linens or a free glass of wine. Here are the qualities that determine a luxury travel experience for us. I recommend you create a list of luxury travel parameters before planning your trip. What do I mean? When the travel company has thought of what you want before you even know that you want it, and it’s delivered to you in a way that doesn’t call attention to the effort, that’s luxury. Alan and I experience this type of luxury when staying at Triple Creek Ranch or cruising the South Pacific with Silversea. If you make a request and a staff member says, “I’ll make it happen,” rather than offering excuses on why it can’t happen. Seabourn Cruises exemplifies that can do attitude for us. Did you read about our Antarctica cruise on Seabourn? 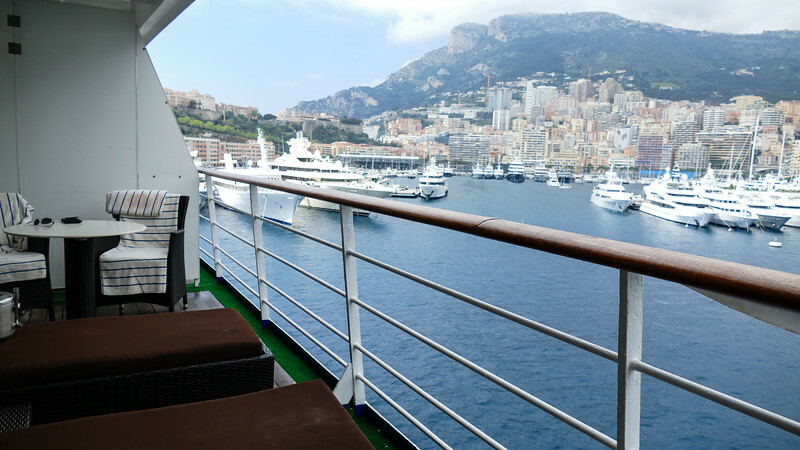 Just because a hotel room or cruise costs a lot of money, doesn’t make it a luxury trip. Alan and I believe that outstanding personal service and unique experiences are the hallmark of a a truly luxurious travel experience. The “ladies and gentlemen” of the Ritz-Carlton brand (that’s how they refer to themselves), are a good example. I can’t say enough good things about our stay at Ritz-Carlton Dove Mountain. From the lobby decor that seems to meld with the Arizonan desert to the Native American flautist that plays as the sun sets, Ritz-Carlton knows the value of creating memorable moments. For a travel company to create a truly personal service, it takes a staff large enough to make the luxury happen. This is especially the case on small ship luxury cruises. Also, the personal service needs to come across as sincere friendliness rather than fake. This one’s self evident. Luxury travelers do not want to stand in line. And, considering the price they are paying for the experience, they shouldn’t have to stand in line. Enough said. Using loyalty programs, purchasing international airfare from gateway cities, and traveling during shoulder season are three of our favorite strategies for finding luxury travel bargains. And, when choosing destinations, we’ll travel to slightly less popular ones over the must-do places that are on those popularity lists that you see all over the Internet. I call it our “go here, not there” policy. I’m constantly adding new travel tips or removing those that no longer work well. Be sure to subscribe to our weekly update so that you’ll always be in the know. Here we go, toasting again. Sorry, but flying economy class is no way to begin a luxury trip. Alan and I fly business class for international flights. We’d love to become first class flyers. But most of the time first class air is beyond our luxury travel budget. And we’re perfectly happy flying business air. Since our active travels include domestic and international trips, we don’t earn as many miles as you might assume. And, when it comes to air travel, loyalty programs don’t get us very far anymore. It’s partly due to flying out of a second-tier (maybe even third-tier) airport like Missoula. However the quality of our Montana lifestyle is worth that inconvenience. The second reason that air loyalty programs aren’t getting us very far is because frequent flyer miles are increasingly difficult to use. Have you tried redeeming them lately? Not only are awards tickets harder to redeem, but jumping through the hoops to find them requires more and more time. Sorry but our time (and yours) is worth money, too. Several years ago, Alan and I tired of playing the frequent flyer miles game. We chose a different route—paying for business class airfare ourselves. Now we’re not locked in with a particular airline, which allows us to shop for the best itinerary and price. Our strategy includes using a cash-back credit card, then depositing the end-of-year check into a business class fund at the bank. Of course it doesn’t earn enough to pay for an entire ticket—with the exception of travel, we’re not huge spenders—so we also contribute additional money to the fund. We look for business class air from major gateway cities such as Los Angeles, Seattle, Minneapolis or Salt Lake City (the closest/cheapest domestic tickets from Montana). The Skyscanner app is a great place to start our search. After conducting a search ourselves, we’ll ask for a business class air quote, from the cruise line or tour company that we’re using, if that’s the case. Our choice depends on the price, travel time and number of connections to arrive at the destination. It’s usually cheaper to book the flight ourselves, but not always. Comparing airlines is another trick that we use. While we would absolutely love to fly Singapore Air, the price of other business class flights has won out, so far. And we never book a ticket without checking the seating reviews at SeatGuru. What type of airplane usually flies this route? Does the airline offer lie-flat seats in business class? Which itinerary offers the shortest amount of flying time? Is a direct flight available? What’s the reputation of the major connecting airport? Is it known for delayed flights, poor weather or a second-rate terminal? Does the airline have a good safety record, especially if it’s an international airline that we’re unfamiliar with? If you’re looking for tips on how to make the most of frequent flyer miles, The Points Guy is a good resource. And Air Travel Genius has a good article on how to get cheap business class tickets. Not a bad view of Monaco, eh? The word “luxury” is bandied about the cruise industry more than in any other segment of travel. Frankly, there’s a lot of hype and half-truths involved. So here’s my definition of a luxury cruise: mid to small size ship, high ratio of crew members to guests resulting in exemplary personal service, high ratio of space per guest, all inclusive alcohol, and no tips required or expected, except for spa services. Are you cruising on a luxury ship? Although this information is from 2015, it’s a good comparison of number of passengers, crew, and space-per-guest ratio by cruise vessel. Our current luxury cruise favorites include Seabourn and Silversea, although we’ll soon be trying Crystal. We have cruised many times on Regent and would definitely include the line in the luxury category. A step below in luxury but still offering a very good experience, boutique cruise lines like Viking, Oceania and Azmara are good choices. Cruise Critic is a great resource of consolidated, up-to-the-minute cruise information. Curious about a specific ship or itinerary? Join the boards to ask your questions. More square footage in the suite is our measuring stick when it comes to space to passenger ratio. It’s the size of the suite that’s most important not the huge atrium that will skew the ratio into making it look like you have more space. Inclusive without harping on the word “free” is important to us. On luxury ships, we expect alcohol and tips to be included (and hopefully, soon, all will offer complimentary internet). Our experience with included or “free” excursions has been that a basic one is offered but you’ll pay up for the quality shore excursions so don’t let that word “free” be a deciding factor when it comes to shore excursions. Enjoying an outdoor dinner and party. Luxury cruises are so much fun! Cruise during the off season. Choose a less popular cruise itinerary. Join a cruise line loyalty program. Repeat clients receive discounts and special onboard benefits. Sign up for cruise line email newsletters to receive notification of special offers. Use the services of a travel advisor that specializes in the cruise line that you are considering. Expect better pricing from itineraries with lots of sea days, like Atlantic crossings. With the increasing popularity of cruising, if your heart is set on a specific itinerary and cruise line, book it early. It’s not unheard of to see popular or special cruises like those to Antarctica book up a year in advance. I’m constantly surprised at how quickly interesting itineraries fill up. If you wait until a couple of months out, no cabins may be available or if there are some left, they are the less desirable cabins. Are you a boomer woman who needs tips about what to wear on a luxury cruise? Read my tips on cruise wear for over 50 women. When booking cruise accommodations, Alan and I always look at the deck schematic to insure that the cabin (also known as suite) we are choosing is not near an elevator, laundry or other noisy area of the ship. Don’t forget to check what’s on the deck above your cabin. Once, we were upgraded to a penthouse suite only to hear pool chairs being dragged across the deck early in the morning as the crew set them up for the day. Which cabin should you book? For us, luxury cruising means our suite or cabin includes a verandah (this may not matter to you), walk-in closet and bathroom with a tub and separate shower. However when on an expedition cruise, we may opt for a suite with a large window depending on cost (verandah’s are expensive on expedition ships) or location of the cabin—sometimes the cabins with verandahs are located on higher decks or in the front or back of the ship. Since these ships are small that means more motion from the ocean. Not good for someone like me who easily experiences motion sickness. What should cabins include on a luxury cruise ship? You should expect amenities like hair dryers, plush robes, slippers, and an umbrella. Mini-refrigerators should be stocked with water and your preferred beverages, including wine, beer and alcohol, at no additional cost to you. These days, iPads, docking stations and phone chargers may also be provided. I’ve barely touched the surface here. 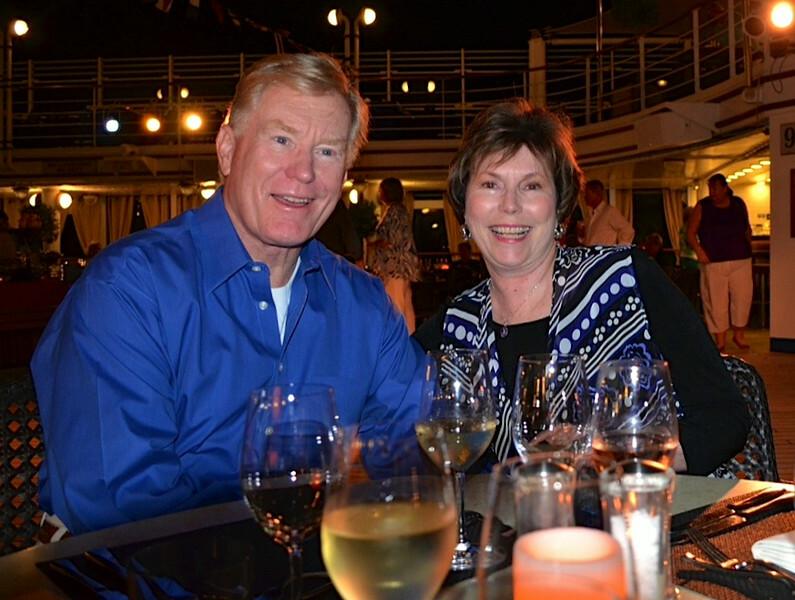 If you’re into luxury cruise, definitely check out our luxury cruise planner for boomers. With over 400 nights at sea, I know the topic. We’ve stayed in some beautiful luxury accommodations over the years. Alan and I look for luxury accommodations that provide unique experiences. Perhaps it’s the setting. Or the architecture might be the unique ingredient that makes the hotel special to us. In a large city, convenience becomes a luxury component. When it comes to 5-star hotels, Ritz-Carlton or the Four Seasons are two of our favorite brands. However, if you ever have the opportunity to stay in a Montage hotel, like the Montage Kapalua Bay on Maui, do it! For the most part, we prefer boutique hotels, inns, lodges or upscale bed and breakfasts, unless it’s a road trip in Alaska, where there aren’t many options. Again, we look for location, experiences and personal service. My tips for finding value in luxury accommodations are much the same as my cruising advice. Travel during the shoulder season or off season. Join the loyalty program for upgrades and special benefits. Sign up for email newsletters to be notified of special pricing. 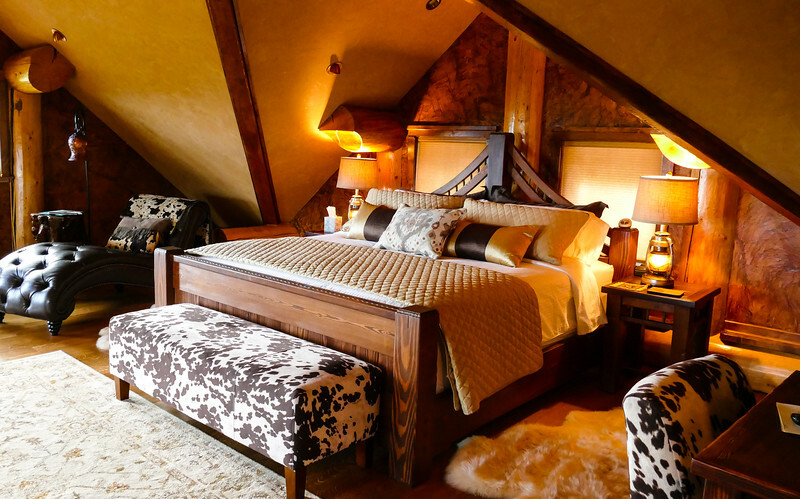 Stay in a boutique hotel or inn. Before making a final decision on where to stay, I always check the TripAdvisor reviews, throwing out the best and worst comments. In the middle, I find great tips and insight. I truly appreciate those folks who take the time to share their experiences, good or bad. While we appreciate luxury, a fascinating off-the-beaten-path travel destination that offers unique experiences will overcome a shortfall in accommodations. Sometimes you can’t have both. If there’s a choice to be made, Alan and I opt for the experience. Have I answered your questions about finding value in luxury travel? Let me know. I’ll be adding more advice and resources as I discover them. Be sure to subscribe to the My Itchy Travel Feet weekly update so that you don’t miss out on the latest travel tips for luxury travel.